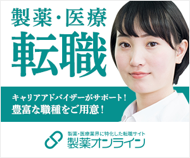 We herewith publish the Japanese translation of Good Pharmaceutical Medicine Practice (GPMP) on the homepage of Japanese Association of Pharmaceutical Medicine (JAPhMED). This guidance was originally developed in 2014 as a code of conduct or basic principles for physicians involved in pharmaceutical medicine by the Royal Society of Physicians Association of Pharmaceutical Medicine : the Faculty of Pharmaceutical Medicine of the Royal Colleges of Physicians of the United Kingdom (FPM)(https://www.fpm.org.uk). It is thought GPMP will give international and universal guidance not only to pharmaceutical physicians but also to all those, including non-physicians, who are involved in pharmaceutical development across a variety of environments. We therefore undertook a Japanese translation to introduce this guidance to those involved in clinical development in Japan. GPMP itself is composed of a form appended on the foundation of the General Medical Council's Good Medical Practice (GMP). The Japanese translation is applied to those parts added by the FPM. We gratefully acknowledge the valuable comments and advice of JAPhMED members Dr. Stewart Geary and Ms. Chieko Kurihara on our translation work. We would also like to thank Prof. Alan Boyd (the past president) and Prof. Tim Higenbottam (the current president) of the FPM who kindly provided the permission for this Japanese translation and use of GPMP.